Domestic & International Seat Sale. Booking Period is from March 22 to March 25, 2011 or until seats last. Pick your favourite Domestic seat from as low as P499. Pick your favourite International seat from as low as P899. 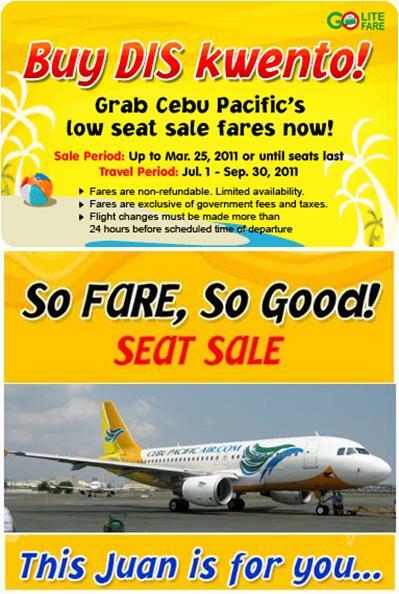 Go Lite Fares are available upon booking for guests traveling without check-in baggage. Add P 100 to fare upon booking if traveling with check-in baggage.